Working Test, Match, and other results for 2016 are listed here. Score cards are also available as Adobe Portable Document Format (PDF) files. Please click on any of the ‘Scores’ links below to open the chosen file in a new window. You’ll need Adobe Acrobat Reader on your computer to allow you to read PDF files. Click on the link below to download and install. Certificates of Merit can also be awarded. PTA working test results will always be published as soon as possible. Sunday 4th of September 2016. 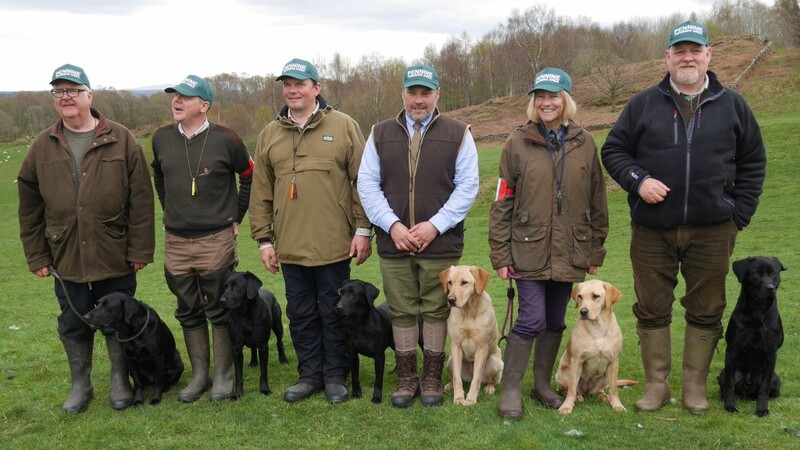 The Inter Counties Team Invitation Gundog Working Test took place within the splendid surroundings of Chatsworth House with thirteen teams once again competing for The Chatsworth Country Fair Challenge Trophy. The PTA team of Roz McIlroy, Scott Marland, and Captain Gary Collier fell just short in their quest to match last year’s first place with an extremely creditable runner’s up award behind the 2015 third place finishers – the North West Labrador Retriever Club. Third place went to the Northumberland & Durham Labrador Retriever Club who’s momentum crumbled after scoring a fail whilst leading in to the runoff. The PTA team were in third place coming in to the final section of the match with the seven highest scoring teams having to complete a further three retrieves. 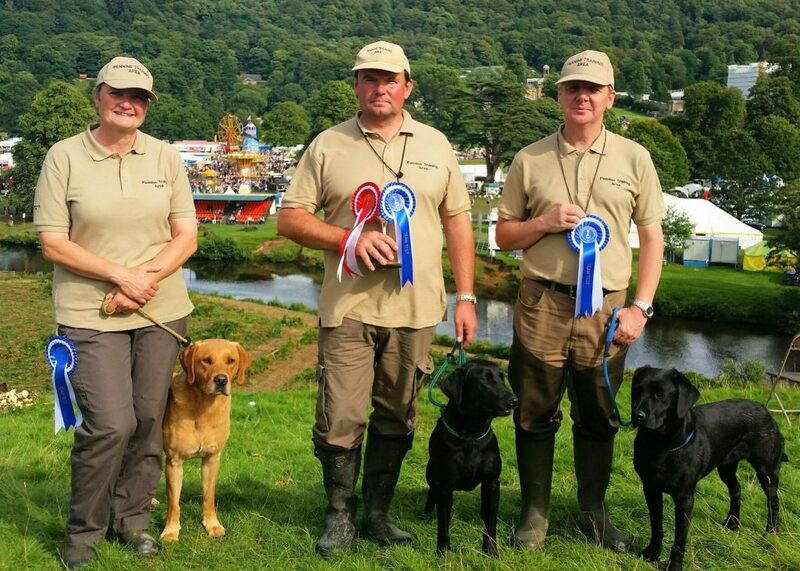 Each team member performed one retrieve in the runoff – Roz and Scott made light work of the first two retrieves over a river, through bracken, over a fence and up a hill, with Gary and his dog Bramble then thrilling spectators with an accomplished ‘blind’ retrieve along the river bank (the exact same retrieves as in 2015). 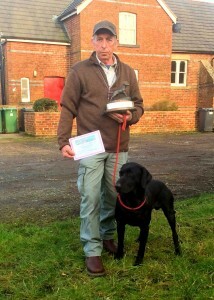 Gary was a very worthy winner of top individual dog ahead of his peers who included several England team members. Well done Gary. The large gallery were quick to applaud and cheer all the teams who put on an excellent exhibition of skilled gundog handling despite the noise of the fair, the constant skirl of distant bagpipes, and the nearby drone of antique agricultural machinery. As usual the event was extremely well organised and lead by Philip Smithies with the help of a dedicated team of volunteers. Judges were Mr G Hay and Mrs J Hay, with Mary Roberts and Steve Burns once again providing an informed (and often humorous) commentary. The trophy was presented to the NW Lab’s Captain Nathan Laffey by The Duchess of Devonshire in front of an appreciative audience. Roz McIlroy with Bolt, Gary Collier (Captain) with Bramble, and Scott Marland with Ice. The annual competition with Dove Valley was held at home and the PTA overcame stiff competition to record a fine victory. 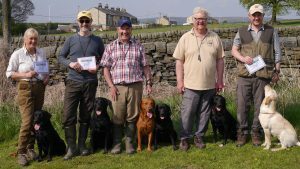 Best puppy on the day was awarded to Linda Scott, two PTA team members finished amongst the awards in the Novice category, and our Open team took the top four places. 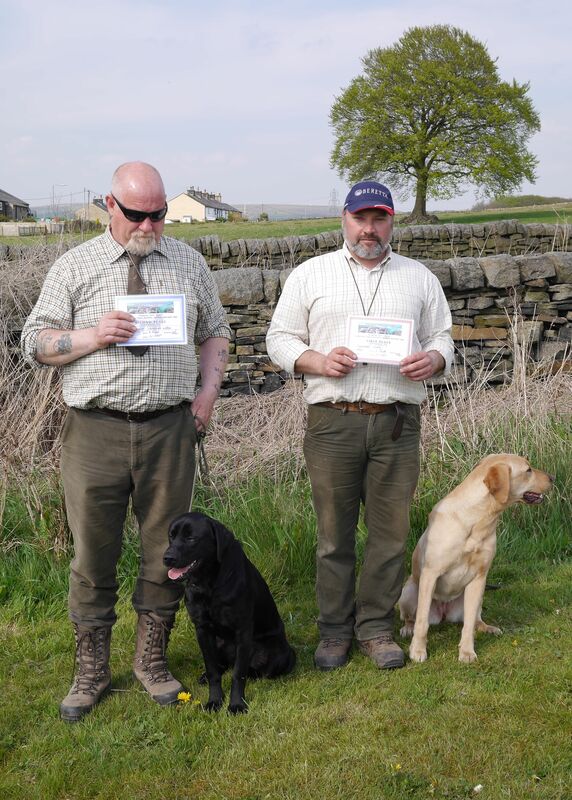 Junior member Tom Kay showed great skill and composure in the Puppy category to gain a very creditable third place with Roz McIlroy in fourth, and second place went to Dove Valley’s Ian Glover. Scott Marland was first in Open scoring the same points as Amy Collier placed second, with Gary Collier in third, and Anna Licciardi in fourth. Only four points separated first and fourth places. Gary Lakey was second in Novice and Aidrian Lakey third. Novice winner was Carol Probert from Dove Valley with team mate John Mee in fourth place. Webmaster update: Apologies on behalf of the Club and the Committee. Result information for this event has not been made available for publication. Please contact a club official if you would like to discuss this matter further. Adrian Lakey 3rd, Steve Burns 4th. Gary Collier 1st, Scott Marland 2nd, Amy Collier 3rd, Peter Thompson 4th. See Gallery page for more photos. The PTA team of Roz McIlroy (Lab.D Autumn Willow Scout), Judith White (Lab.D Minstead Axel), and Peter Thompson (Lab.D Thornyoaks Topaz) were placed fifth in a field of 15 teams. Burns & Becks Gundog Club hosted the day with teams from Pilling Moss Gundog Club, NEFRA, and the PTA also competing in this annual event. A margin of only 12 points separated first to third places. 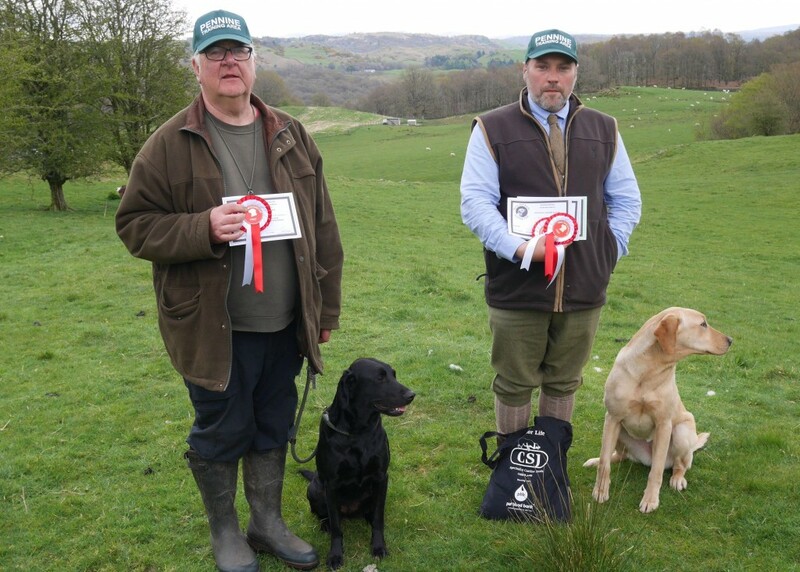 Top puppy and novice dog awards went to Mick Kay and Mike Pilling, and Mick Kay was also presented with a red rosette and certificate for overall individual Top Dog. More photos to follow.